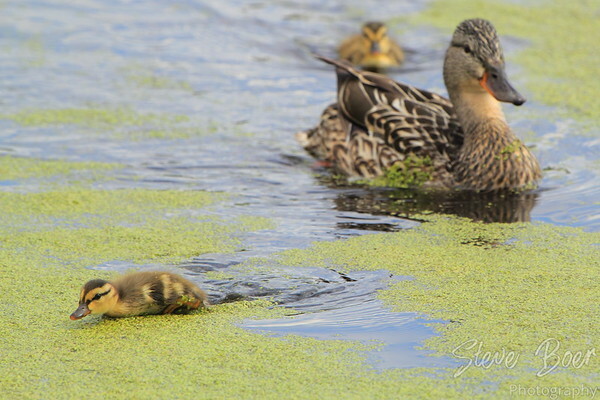 Hi everyone, it’s mallard duckling week on my blog. I got a bunch of duckling photos earlier this month and it’s time to share them. Hope you enjoy these little guys! First up is one doing his best to get away from his mom. These guys are so cute! That duckling looks like my son at 18 months until age 4 – always escaping! Yeah, I like the way he’s just leaned in and going for it, too!